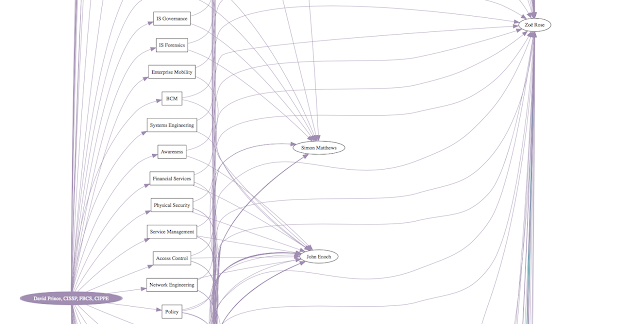 An OSINT tool that allows you to draw out relationships between people on LinkedIn via endorsements/skills. Check out the example (digraph), which is based on mine and my colleagues (David Prince) LinkedIn profile. By glancing at the visualisation you can easily see, by the number of "arrows", there is some sort of relationship between us and "Zoë Rose" (we all work together on the same team in this case). Due to the way LinkedIn's privacy settings work this tool works best when your target is within your 3rd degree network or higher. Using a LinkedIn Premium or Recruiter account will allow you to map targets outside of your network. The Endorser will work on pretty much any *nix (Linux, Mac, BSD) system with Python 3.0+. Download ChromeDriver for your platform (requires Chrome) and place in ./drivers. Alternatively you can use PhantomJS and launch with the --driver phantomjs flag (note phantomjs is 8x slower). 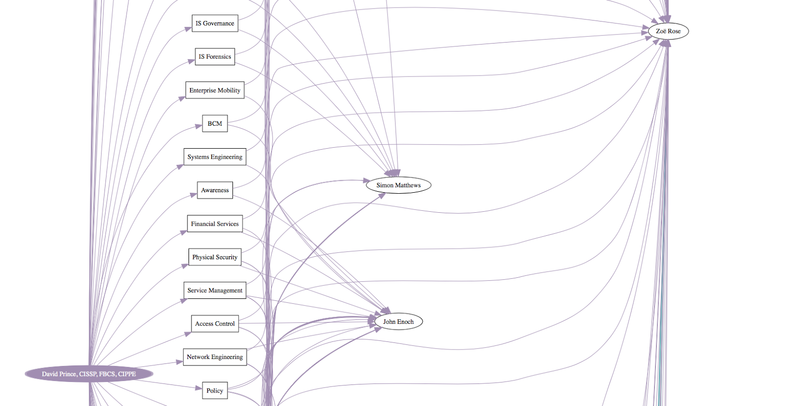 Maps out relationships between peoples endorsements on LinkedIn. Logging output level: DEBUG, INFO, WARNING, ERROR. Currently there is only one output module (digraph). In the future the plan is add modules for Maltego and and Plot.ly - but feel free to get involved! It's best to read this from right-to-left to identify people that have arrows from multiple profiles. Square box = skill, ellipse = person.